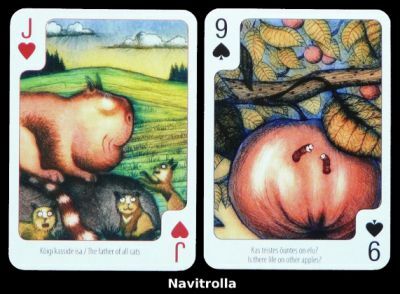 Navitrolla (navitrolla.ee) is a unique artist known for his paintings full of fantastic landscapes and absurd animals. The captions are in Estonian followed by English. Price and where to find: about 5 euros, from the publisher web site and many bookshops in Tallinn.